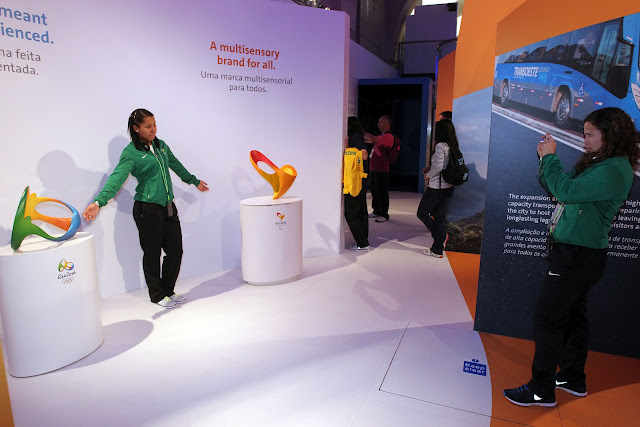 Three athletes from the Olympic Experience project, promoted by the Brazilian Olympic Committee, visited the exhibitions at Casa Brasil, in Somerset House, this Thursday. Bernardo Oliveira (Archery), Jessica Reis (Athletics - long jump) and Lais Nunes (Wrestling) are hosted at Crystal Palace, the Brazilian training center for the London 2012 Olympic Games in the British capital. 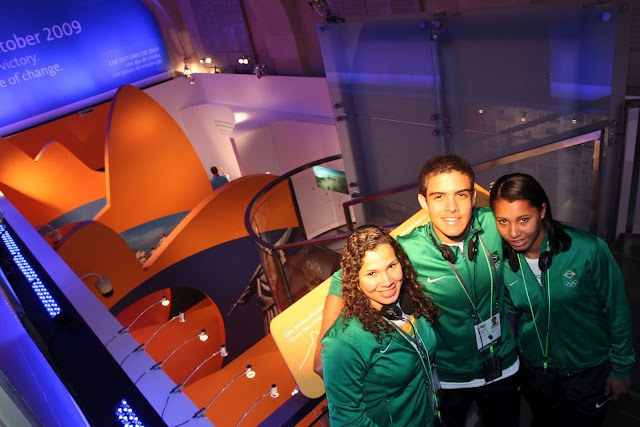 The objective of the Olympic Experience project, as its suggested by its name, is for young Brazilian athletes to have at least one Olympic experience before trying the Games for real. The girls took the opportunity to take their pictures with the logos of the Rio 2016™ Olympic and Paralympic Games, in which they are being expected to participate.